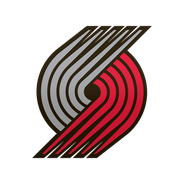 Simons totaled 37 points (13-21 FG, 7-11 3Pt, 4-6 FT), nine assists, six rebounds and one steal across 48 minutes in the Trail Blazers' 136-131 win over the Kings on Wednesday. Simons was one of three Blazers first-unit players to go the distance in the contest, and his pinpoint three-point accuracy helped lead a momentous comeback from 28 points down. The rookie only saw a double-digit minutes load once all season prior to playing the entire game against the Kings, but Wednesday's stirring performance certainly hints at better things to come in the future. Despite the spectacular numbers in the finale, it seems likely Simons will be left out of the first-round rotation. Simons will start Wednesday's game against the Kings, Joe Freeman of The Oregonian reports. Simons will start in place of Damian Lillard who's being rested Wednesday. In 19 games, the rookie guard's averaging 2.0 points and 0.4 rebounds in 4.9 minutes.